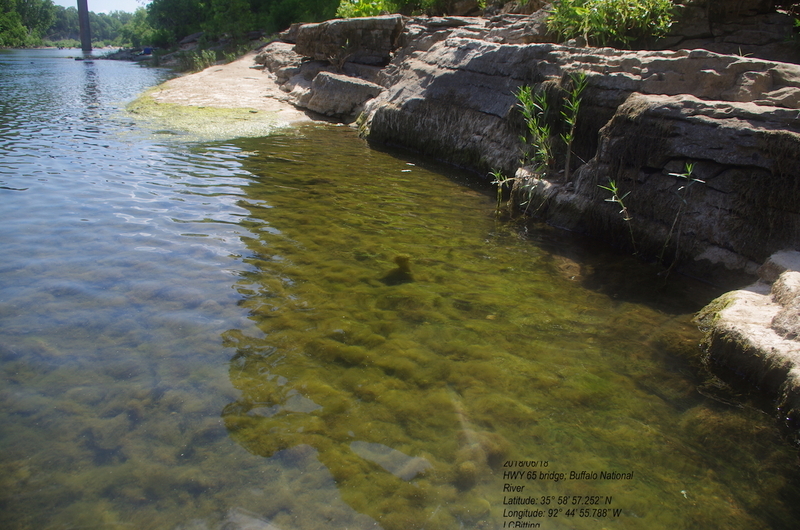 A group of two dozen scientists, students, activists and Master Naturalists met in Gilbert on Aug. 18th for a half-day workshop on conducting an algal survey on the Buffalo River. Jessie Green, White River Waterkeeper and Teresa Turk with Ozark River Stewards, organized the event with the support of Patagonia, Arkansas Chapter of the American Fisheries Society, Arkansas Wildlife Federation, Friends of the North Fork and White Rivers, and Laura Timby. 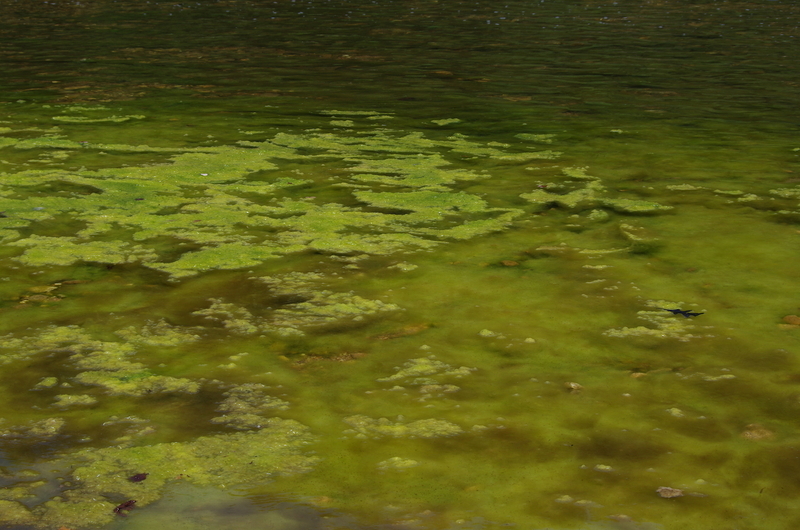 Continuing reports of nuisance algae in unprecedented amounts, including limited areas of cyanobacteria, and recent designation of impairment along portions of the Buffalo National River by Arkansas Dept. of Environmental Quality, provided the impetus for this science-based effort to gather data for analysis. Teresa Turk explained to the group that a similar survey conducted on the Shenandoah River in VA had proved the most relevant, being of similar size and also in an area of karst geology, so it provided the model for their protocol. "So many people care about the health and safety of the river," she said. "We feel that there is not enough being done to protect it, so it's time for citizens to step up." On Sunday, Aug. 19th, nine teams were deployed to six different stretches of the river, starting at Baker Ford and ending at Rush. Each team documented a suite of data including percent benthic algal coverage and collected GPS locations and photo documentation of observations. The study was designed to remove observer bias and simplify research questions to provide meaningful, replicable baseline data. Results will be analyzed by Turk, Green, and other expert scientists and visually displayed through interactive maps on White River Waterkeeper’s website. This volunteer effort paves the way for future routine studies for longterm monitoring. With transparency and disseminating information to the public at the forefront of research goals, a healthy mix of seasoned researchers, budding scientists, and interested citizens – the quality of information will not only improve through future efforts but also provide valuable data to help inform management decisions and additional research goals. 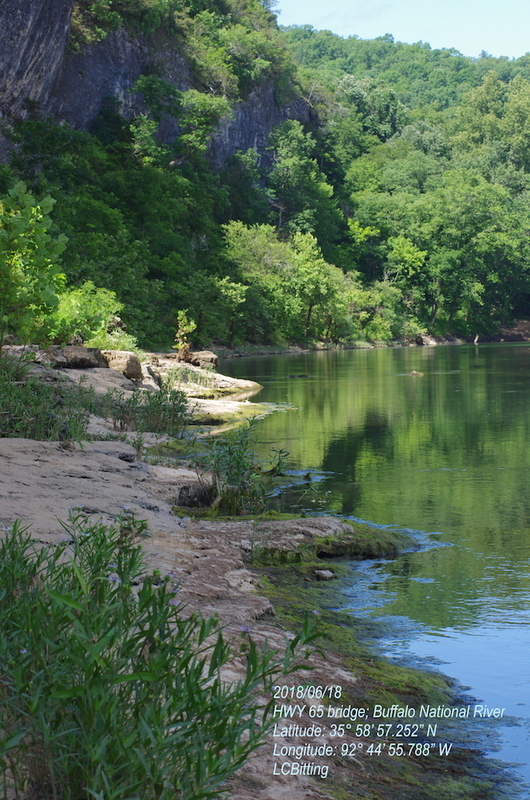 Jessie Green said all who organized the survey were grateful for the continuing statewide support of efforts to protect the river. Ozark River Stewards Ozark River Stewards represent a diverse group of people who were galvanized by the news that an industrial hog farm was granted a permit to operate in the watershed of the Buffalo River and began growing thousands of hogs there in the summer of 2013.